Anlen Tan led a delegation to participate in the 122 session of the Canton Fair-ZHEJIANG CEA ELECTRIC CO.,LTD. 2017 China Import and Export Fair (The 122nd Canton Fair) is scheduled to hold from 15th October to 19th October. CEA Electric Co., Ltd has done all the preparations. Our chairman Anlan Tan leads the elite team to participate in the fair on time. Our company took the lead in passing ISO9001 Quality Management System, ISO14001 Environmental Management System, OHSAS18001 Occupation Health Safety Management System, and professional contracting qualification of illuminating projects in cities and roads. Our products have been authorized by UL, DLC, FCC in USA, CE, ROHS in Europe, SAA, C-TICK in Australia etc, and with the characteristics of energy-saving, environment friendly, high efficiency, selling well in USA, Canada, Mexico, Russia, Ukrane, Southeast Asia, Europe, South America, Australia etc., more than 90 countries and places. Brand CEA had been registered all over the world over90 countries and places. Brand CEA had been registered all over the world over 90 countries and places. In 2005, amount of export was over 30,000,000 dollars which reached one of the best exporting enterprises in the whole city. 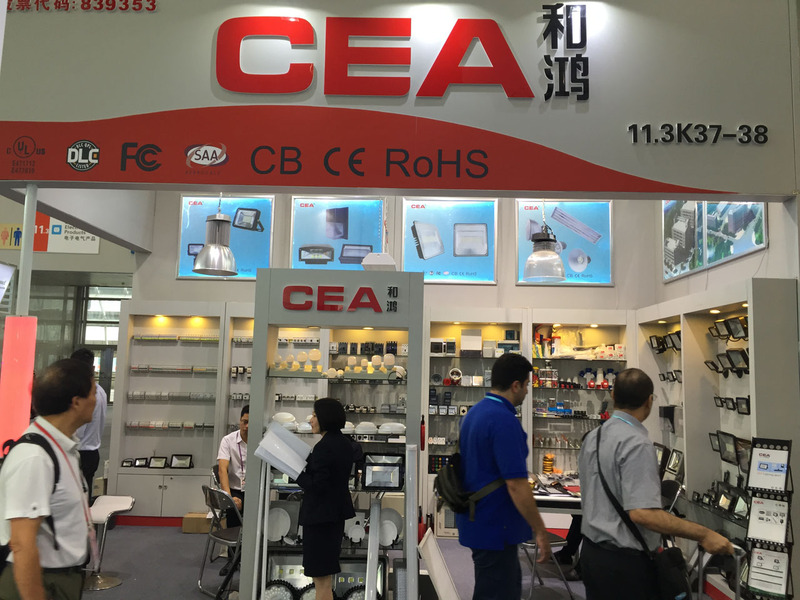 CEA Electrics Co., Ltd is one of the national high-tech companies and design center of provincial industry in Anhui province. Since our establishment, we persist in independent innovation with a powerful R&D team, equipped with professional project and design employees, outstanding moulded case, plastic spraying, die casting, plastic die-casting apparatus and excellent quality testing center. At present, our company is developing smart illuminating remote monitoring system, wind and photovoltaic hybrid street light system. With concept of "demand illumination, elaborate management", through the construction of urban smart monitoring management system works, and the unity of platform management comes true, every street light can be inspected and managed, the power consumption can be saved, and the manpower cost can be reduced greatly to create better social benefit, economical benefit and management benefit. 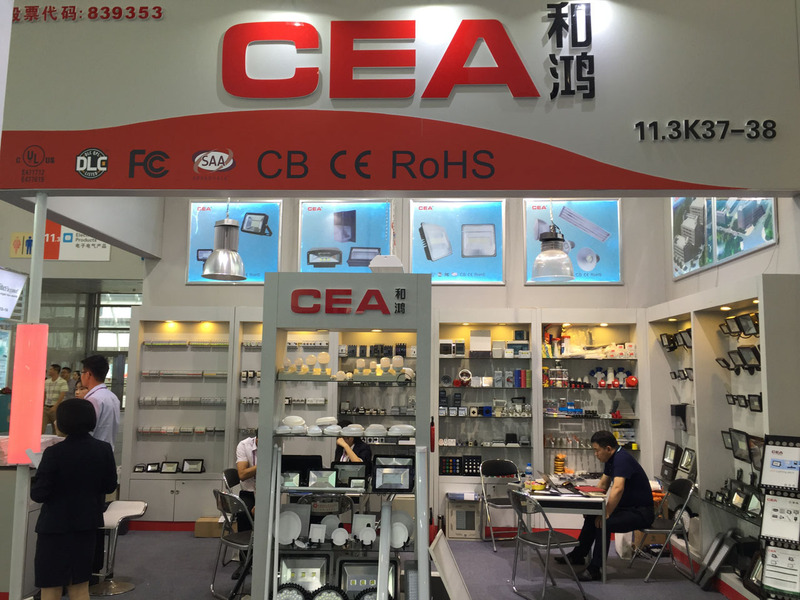 The exhibition product of CEA is LED Appliance and all kinds of electric appliance. And the exhibition booth is set in B area No. 11.3k37-38. Hoping general merchants come to visit, commercial exchange and trade negotiate, we warmly welcome your coming.